Stavanger is a city and municipality in the county of Rogaland, Norway. Stavanger was established as a municipality 1 January 1838. The then rural municipalities of Hetland and Madla merged with Stavanger 1 January 1965. Stavanger is also the centre of the Stavanger metropolitan area which has a population of 297,569. The city is commonly referred to as the Petroleum Capital of Norway. The city is a combination of new and old influences. There is a significant foreign influence with the foreign oil interests, the NATO Joint Warfare Center and in recent years a large immigration from Eastern Europe. Norway's oldest cathedral, Stavanger domkirke, is situated in the city centre. Stavanger has several beautiful lakes, which are popular recreation areas. 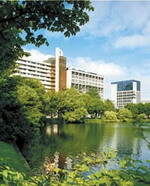 Breiavatnet is located in the heart of Stavanger, while Mosvatnet and Stokkavatnet are situated right outside. 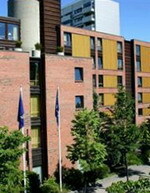 The First Hotel Alstor is housed in a modern Scandinavian building next to the Mosvannet park and lake, 2.5 kilometers away from Stavanger's historic center. In the Restaurant Rossmann guests can enjoy à la carte dining and sample Scandinavian specialties in a relaxed dining room with wooden floors. The restaurant has an extensive wine list and offers vegetarian dishes and a children's menu. The hotel's bar serves a range of alcoholic and non alcoholic drinks. Alternatively, room service is available for guests wishing to eat or drink in their rooms. Guests can unwind in the sauna, or watch television by the fireplace in the hotel lobby. Those who wish to stay in touch with friends or plan a sightseeing itinerary can take advantage of the complimentary wireless Internet access in public areas. Nearby Mosvannet Park has many trails for running and biking and, for sightseers, the Stavanger Art Museum and Iron Age Farm are 300 meters away. 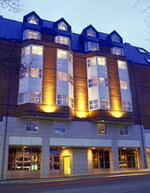 The Radisson SAS Atlantic hotel is a modern hotel located in the city centre, overlooking Lake Breiavatnet, just 50 metres from the historic Old Stavanger area. The hotel offers several dining options: The restaurant Ajax is a bright dining room serving breakfast each morning from Monday to Friday, while the Antique Restaurant is a more formal eatery serving à la carte international cuisine, and overlooking Lake Breiavatnet. The King Oscar Bar and Salong is a lively bar inspired by the thriving sardine and canning industry, serving light meals and drinks throughout the day. There is a sauna at the very top of the hotel, complete with panoramic views featuring the mountains of Ryfylke. Guests also have full access to a nearby sports club at a discounted rate, which offers exercise machines, aerobic classes, spinning and free weights, and there is access to a pool, sauna, jetted tub and spa in the sister SAS Royal Hotel also nearby. 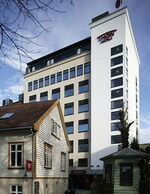 The Radisson SAS Hotel Royal is modern hotel, located in Stavanger city centre, just three kilometres from Stavanger Forum and 15 kilometres from Lysefjord. The Harlequin serves an extensive buffet and à la carte menu for breakfast and lunch in the atrium, with a relaxed and informal atmosphere. The Chicago Bar and Restaurant serves international cuisine for dinner in an intimate and relaxing setting. Guests can unwind in the hot tub and sauna, relax with a drink in the bar, and swim in the indoor pool, while kids amuse themselves in the children's pool. Visitors are well located to explore the city; the Norwegian Petroleum Museum is one kilometre away, and the Stavanger Forum is three kilometres from the hotel. Further afield the magnificent Lysefjord is 15 kilometres distant, and the business Area is 20 kilometres away. Housed in a 21-storey glass tower, the Rica Forum Hotel is a modern property adjacent to the Stavanger Forum Congress Hall and three kilometres from the city centre. Guests can sip cocktails in the hotel's 20th-floor bar with its panoramic lake views. Practical amenities include garage parking (fees apply) and laundry facilities. The Rica Forum Hotel houses an informal, modern restaurant where guests can sample local and international dishes while enjoying panoramic views of Lake Mosvannet and Lake Stokkavannet. The hotel also offers discounted use of a nearby fitness centre. The Norwegian Canning Museum, located 2.5 kilometres from the hotel, provides a unique insight into the environment and working conditions of fish-canning factories, complete with smoking ovens. The Rica Park Hotel is a modern six floor hotel located in the city centre, 200 metres from the train station and 750 metres from Stavanger's historic old town. Stavanger Airport is situated 12 kilometres away with an approximate driving time of 20 minutes. Guests can work out in the fully-equipped fitness room and enjoy some relaxation time in the sauna. The hotel houses its own bar and a conference suite with four rooms and high-speed Internet access. 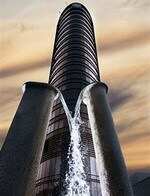 Practical amenities include nearby parking and dry cleaning facilities. The Rica Park Hotel houses an informal, modern restaurant offering a range of local and international dishes. Pulpit Rock, located 30 kilometres from the hotel, is a natural rock formation with a 25 square metre plateau affording spectacular views. The rock can be reached by foot or enjoyed from the sea by boat. The Thon Hotel Maritim, Stavanger, located in the center of the city, overlooks Lake Breiavannet, just 100 meters from the city's cathedral. The hotel restaurant, open in the evenings Monday to Thursday, offers an international buffet and a la carte menu. The Thon Hotel Maritim in Stavanger has a 24-hour front desk staff to help guests get an early start with a wake-up call, and to advise on local attractions in the city. Located in the heart of the city, the hotel is just two minutes walk from the center and a short distance from many attractions. Guests can explore the Cathedral, 100 meters away and the Norwegian Petroleum Museum is 500 meters away. 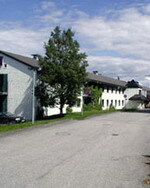 Stavanger Sola Airport is 12 kilometres from the hotel. The Airport Express Bus runs frequently into the city center and a one-way fare is 12 NOK.